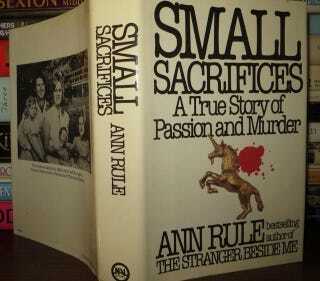 Prolific author Ann Rule has written some of true crime’s best-selling classics, including Ted Bundy tome The Stranger Beside Me, inspired by her friendship with Bundy long before his serial-killing ways were known. She’s now 83, in not-great health, and is apparently being ripped off by two of her own sons. As the Seattle PI reported yesterday, King County prosecutors allege that Michael and Andy Rule separately stole from their mother, starting soon after she broke her hip and was confined to a wheelchair in late 2013. This, despite the fact that all four of her kids received monthly paychecks to assist their famous mother with her business. Writing the court, Special Agent Todd Sadler of the Social Security Administration’s Inspector General’s Office said Andy Rule, 54, had been receiving a “healthy income” from his mother in the years before the thefts. Rule paid her son’s rent and insurance, and provided him a salary. Like Andy Rule, Mike Rule, 51, had been living well off of his mother’s fortune. According to charging papers, he and his wife were paid $9,000 a month to handle Rule’s correspondence and run errands. As his mother’s health declined, though, Mike Rule pushed for control of her finances and demanded to know how much he would receive in inheritance, Sadler told the court. Those close to Rule became concerned that Mike Rule, then in control of his mother’s bank records and credit cards, might use that position to exploit her financially. It’s now alleged that Michael Rule stole over $50,000 from his mother. Both sons have been charged with first-degree theft. Fortunately, not all of Ann Rule’s kids are involved in this scandal: daughter Leslie Rule is a photographer and author who’s also penned true crime books. She also has another daughter.